Hi there! And welcome to Mrs Strawberry Blonde’s March Beauty Awards, a.k.a. my monthly favourites post. As always, I selected my favourites from all the products I’ve written about this month. And I’ve also thrown in a few honourable mentions. 🙂 Now, let’s get to the actual favourites! Since I paid £2 in total for a shampoo and a conditioner, I wasn’t expecting too much. However, these Daily Defense Keratin products are actually very good! 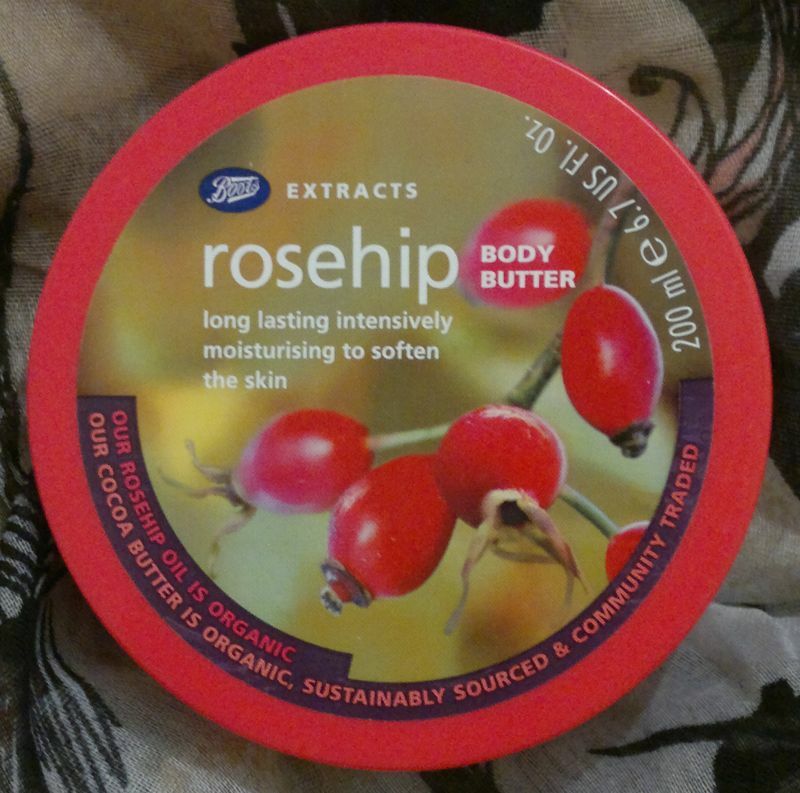 Boots’ Extracts Rosehip Body Butter is an old favourite. This body butter is just amazing. It makes my skin feel sensationally soft, and the fragrance is fantastic. Well, I’m glad that I’ve finally picked up a few Botanics products recently. The first product I tried was the Microdermabrasion Polish – which is excellent! Thanks to this product my skin is brighter and my skin tone is more even than ever. I’ll definitely continue to use this product, and I can’t wait to try the other Botanics products! Now onto the honourable mentions: Whilst Boots’ Luminous Youth Sheet Mask isn’t perfect, I must say that I do like it very much and I will buy it again. I also liked Montagne Jeunesse’s Manuka Honey Peel-Off Mask. And I think Superdrug did a great ob with their Naturally Radiant Hot Cloth Cleanser. Which products did you like best this month? Have you tried any of my favourites? If so, I’d like to know what you think. Feel free to get in touch via the comments. And thanks for stopping by! Hi there! Today’s post is another Nail Of The Day post. 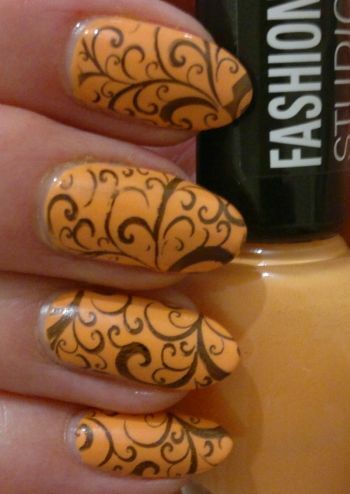 For this mani I painted my nails with Astor Fashion Studio 138. Since orange is one of my least favourite nail colours, I decided to stamp. 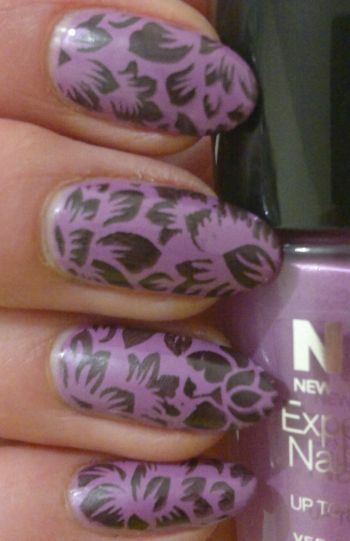 I used Rimmel Lasting Finish Pro 430 Black Satin as my stamping polish. The images are from Pueen’s 74 plate (which is part of Pueen’s Buffet Leisure collection). Hi there! Just a few days ago I tried Montagne Jeunesse’s 7th Heaven Manuka Honey Peel-Off Face Mask for the first time. OK, this mask is like every other peel-off mask out there. You apply it, you let it dry, you peel it off (which is awesome fun), then you wash your face – and that’s it! Job done! I also loved the warm honey fragrance – it was delicious! If you like the scent of honey, you’ll love this face mask! So yeah, get it! 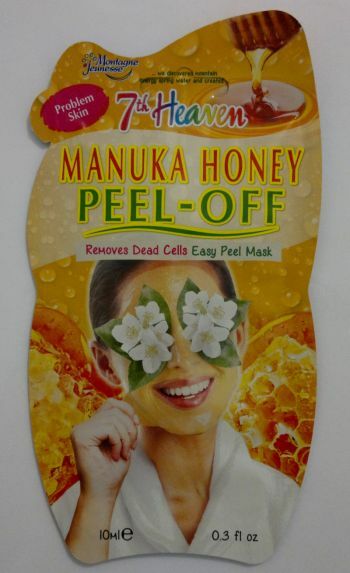 Montagne Jeunesse’s 7th Heaven Manuka Honey Peel-Off Face Mask is available for £1 (give or take a few pence – depending on where you shop). This face mask is approved by the Vegetarian Society and by BUAV. It carries the Leaping Bunning logo which means that it’s certified cruelty-free! Hi there! Whilst it’s been 3 months since Christmas, I still have a lot of Christmas-themed products to try and review. 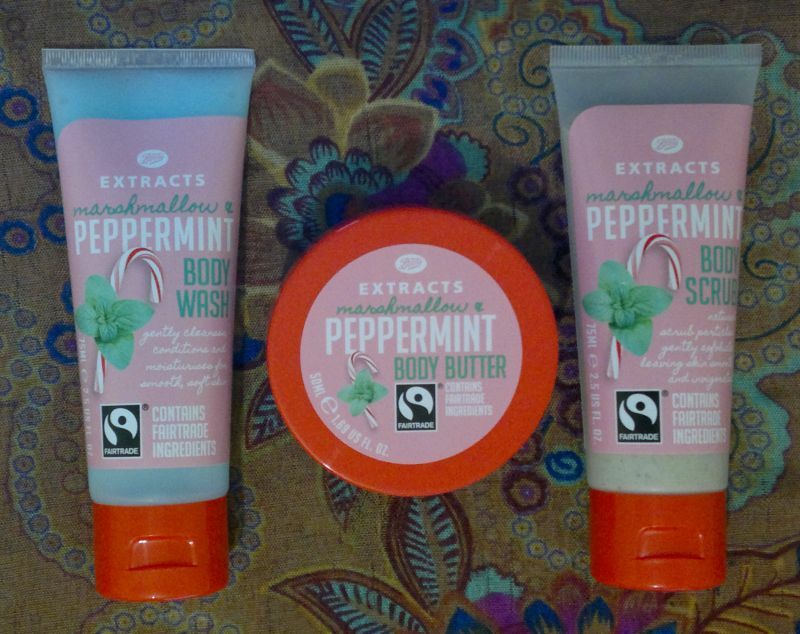 I’ve already taken a closer look at the Winter Woodland shower gels and body lotions, and today I’m reviewing Boots’ Extracts Marshmallow & Peppermint Body Wash, Body Butter and Body Scrub. The Body Wash is gentle and not drying. And it’s not tingly! I think that’s nice. The Body Butter feels rich and nourishing – but it’s not sticky. In terms of quality it’s just as good as all the other fantastic Boots Extracts body butters. The Body Scrub is nice enough. I’d have liked it more if it were a little grittier. However, this scrub is better than the sticky Boots Extracts sugar scrub! Whilst these Boots Extracts Marshmallow & Peppermint products are of good quality, I have to mention that I dislike their fragrance. These products smell like peppermint tea – so to me they basically smell like ‘flu remedy’. I hope Boots’ 2017 Christmas LE will be better. Boots, please just stay away from peppermint and cranberry! Hi there! 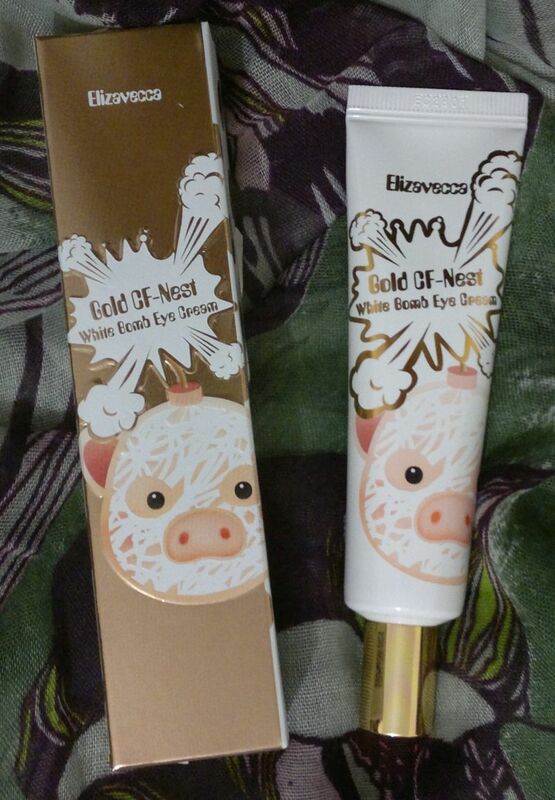 Today’s post is about my (relatively) new Elizavecca Gold CF-Nest White Bomb Eye Cream. I bought this eye cream in early December last year, and I started to use it about 6 weeks ago (after I lost 2 part-used Superdrug eye creams to my underwear drawer…). Now, what does this Elizavecca eye cream claim to do? It promises to brighten skin and to help with wrinkles – well, that’s what I gather from Elizavecca’s web site. But I cannot be entirely sure because it appears they overdid it with google translate! 😀 Moving on… like I said, I’ve been using this eye cream for 6 weeks now, so let me tell you if it’s any good. This eye cream is probably the most nourishing eye cream I’ve ever had. It’s quite rich, but it plays very well with my make-up. I haven’t noticed any issues with make-up balling up or sliding off. However, I don’t think this eye cream has had any brightening effect, and I don’t think it would have an effect on wrinkles. I would recommend this eye cream to anyone who’s looking for a hydrating eye cream that sits well under make-up. I paid £9.99 for a big 30ml tube (TK Maxx). So whilst this eye cream doesn’t work wonders, I think it’s good value nonetheless! Have you tried Elizavecca’s Gold CF-Nest White Bomb Eye Cream or any other Elizavecca products? Feel free to get in touch via the comments. And thanks for reading! Hi there! Happy Sunday everyone! This post is my weekly blog recap. If you’ve missed a post that you might have liked, this is your chance to catch up. I did nail posts on Monday and Friday – if you’d like to know how I did the print nails, click here. 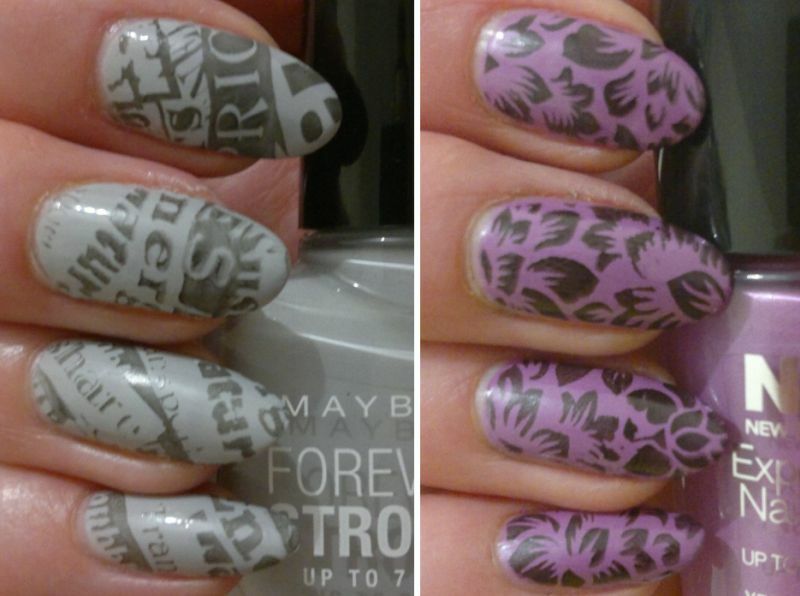 If you’d like to know which products I used to do the floral mani, click here. 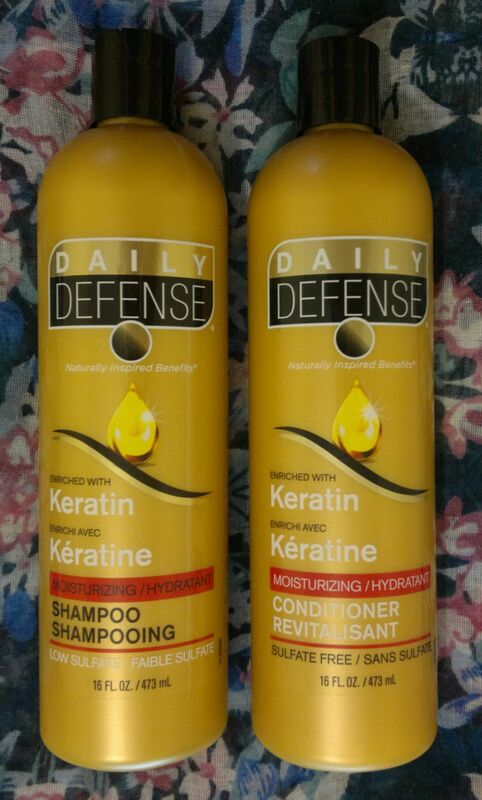 Tuesday’s post was about Daily Defense’s Keratin hair products. They’re really good! If you’d like to read the post or find out where you can pick up these hair goodies, click here. On Wednesday I reviewed the Winter Woodland shower gels that I picked up on Boxing Day. Click here to read the post. And on Thursday I told you how I liked these Winter Woodland body lotions. If you’d like to read the post, click here.